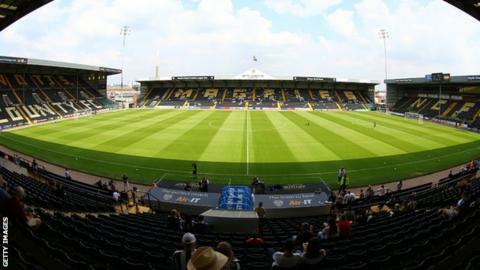 Notts County have been issued a winding-up petition by HM Revenue and Customs over an unpaid tax bill, understood to be £200,000. League Two's bottom club have been set a court date for 10 April. However, Notts claim HMRC have taken an "extremely aggressive approach" and issued the petition after rejecting an offer to pay the debt over four weeks. "Supporters are assured this matter will be settled in good time," said a club statement. Notts, who are are five points from safety, are currently up for sale. Owner Alan Hardy's interior design company Paragon Interiors went into administration on Wednesday but he has insisted their financial problems will not affect the club. Notts said they had also received assurances from Paragon Interiors' administrators that they were supportive of his attempts to sell the club.